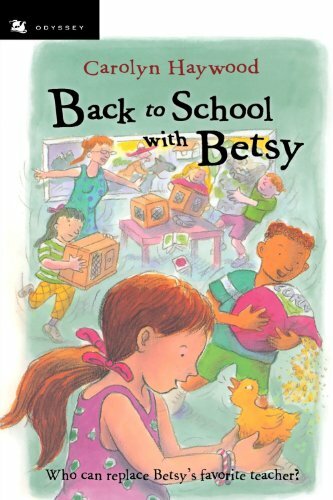 Kick off a brand new school year with a collection of engaging back to school chapter books. 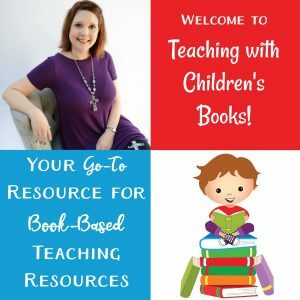 This collection is the perfect place to start! 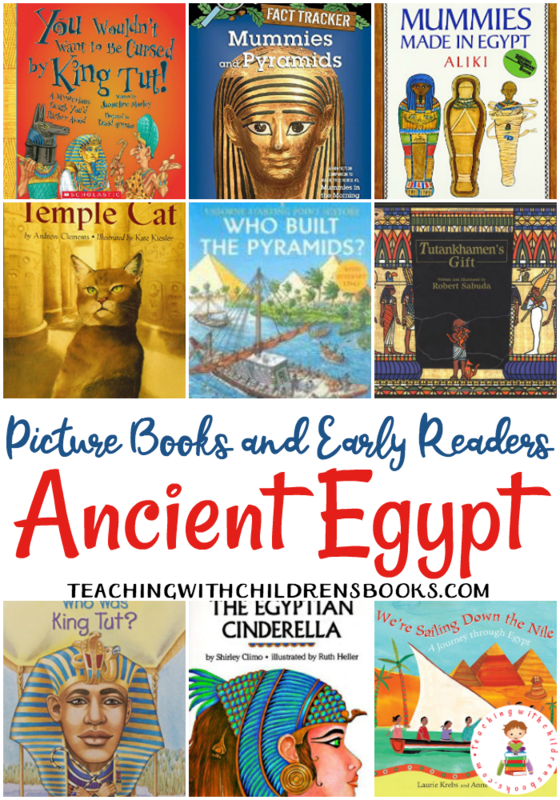 With a selection of books for early readers and independent readers, there’s something for everyone! 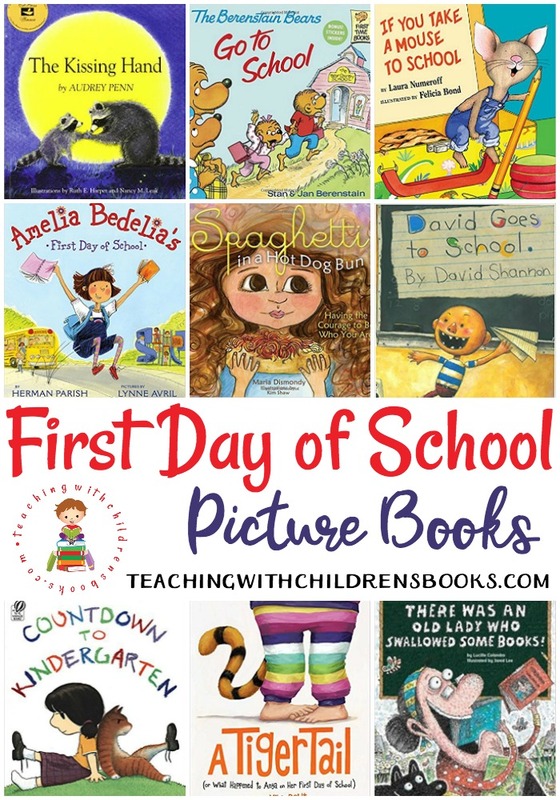 Many of these books will make great read-alouds, as well. 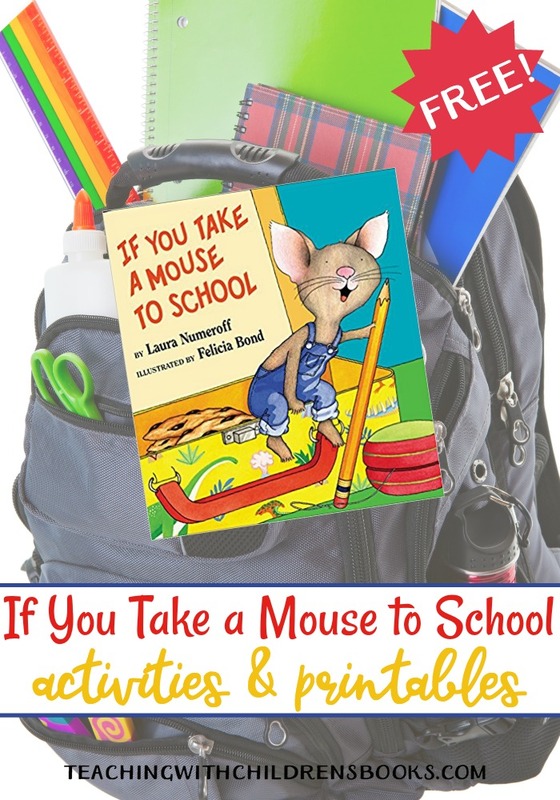 Fill your back to school basket with a great collection of chapter books. Most of these books can be found at your local library or used bookstore. If you have a hard time finding them, you can order them on Amazon by clicking the images below. Wonder | August Pullman was born with a facial difference that, up until now, has prevented him from going to a mainstream school. 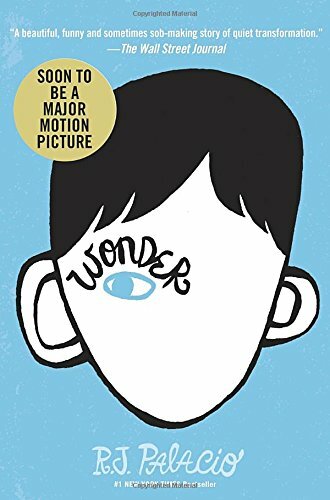 Starting 5th grade at Beecher Prep, he wants nothing more than to be treated as an ordinary kid—but his new classmates can’t get past Auggie’s extraordinary face. 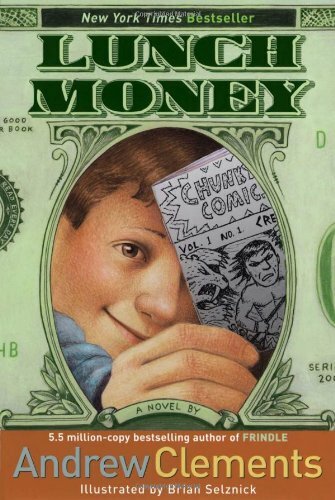 Lunch Money | Greg Kenton has two obsessions — making money and his long-standing competition with his annoying neighbor, Maura Shaw. So when Greg discovers that Maura is cutting into his booming Chunky Comics business with her own original illustrated minibooks, he’s ready to declare war. 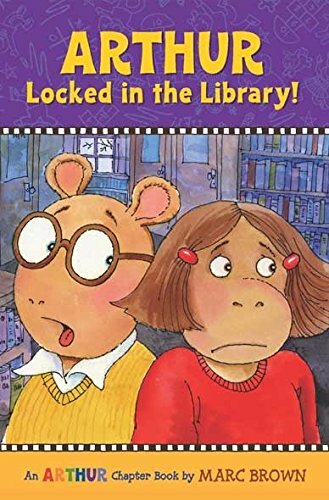 Arthur Locked in the Library! | After Arthur calls Francine a marshmallow, she refuses to speak to him. Then Mr. Ratburn pairs them up for a homework project. They reluctantly go to the library for research-and find themselves locked in once the library closes. Will Arthur and Francine set aside their differences and work together to find a way out? 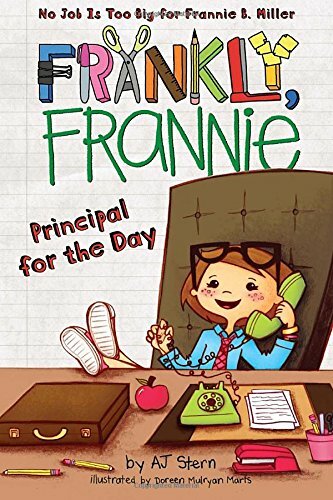 Frankly Frannie: Principal for the Day | Frannie has been named principal for the day and she couldn’t be more excited! To spend the whole day in an office?-with a desk, a copier, and swivel chair, no less?-is beyond her wildest dreams! Pretty soon all these office supplies are making her a little punchy, and before she knows it she’s accidentally setting off the fire alarm, which is no small offense. But as principal of her own school, does she get to come up with her own punishment? 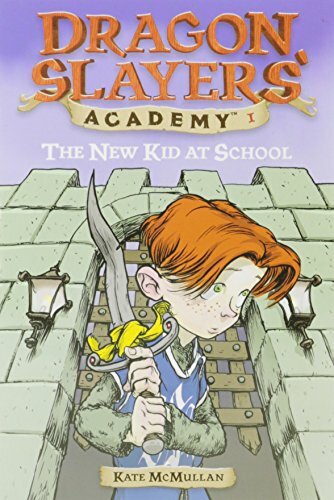 The New Kid at School | When a traveling minstrel foretells that he is to become a hero, Wiglaf sets out to fulfill his destiny: he signs up at the Dragon Slayers’ Academy. But how can he ever hope to be a dragon slayer when he can’t even stand the sight of blood? The Report Card | Nora Rose Rowley is a genius, but don’t tell anyone. She’s managed to make it to the fifth grade without anyone figuring out that she’s not just an ordinary kid, and she wants to keep it that way. 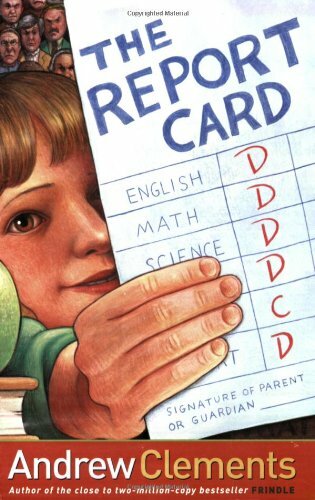 But then Nora gets fed up with the importance everyone attaches to test scores and grades, and she purposely brings home a terrible report card just to prove a point. Suddenly the attention she’s successfully avoided all her life is focused on her, and her secret is out. And that’s when things start to get really complicated…. 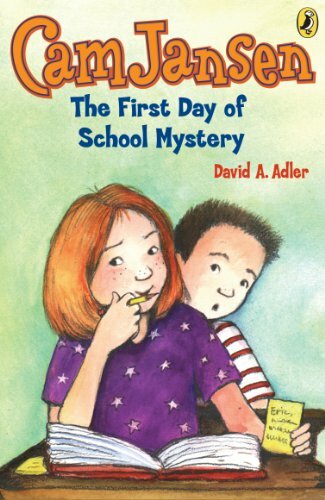 Cam Jansen: The First Day of School Mystery | Mysteries follow super-sleuth Cam Jansen everywhere she goes…even to school. It’s the first day of fifth grade, and Cam and Eric have just met their new teacher, Ms. Benson. The school day has barely begun when two policemen come and arrest Ms. Benson! She insists there must be a mistake. Now it’s up to Cam to solve this important mystery! 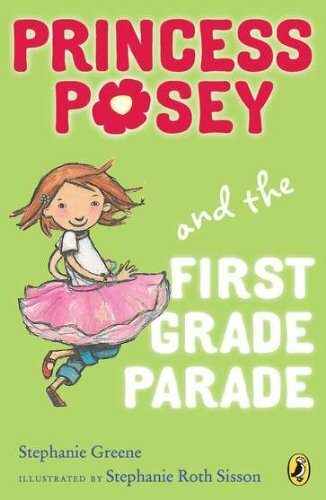 Princess Posey and the First Grade Parade | Posey is very nervous about starting first grade and walking into school all by herself. Worst of all, she has to do it without the one thing that always makes her feel brave and special: the tutu that turns her into the Pink Princess. How will Posey face the first day of school without it? 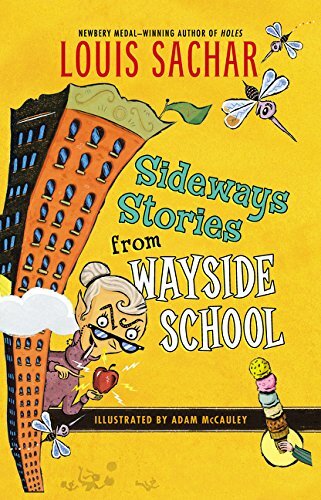 Sideways Stories from Wayside School | There was a terrible mistake-Wayside School was built with one classroom on top of another, thirty stories high! (The builder said he was sorry.) Maybe that’s why all kinds of funny things happened at Wayside-especially on the thirteenth floor. 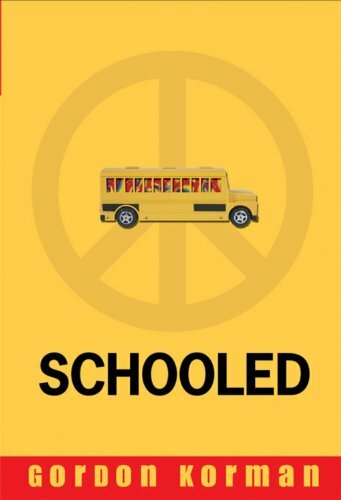 Schooled | Capricorn Cap Anderson has been homeschooled by his hippie grandmother, Rain. When Rain is injured in a fall, Cap is forced to attend the local middle school. Although he knows a lot about Zen Buddhism, nothing has prepared him for the politics of public school. 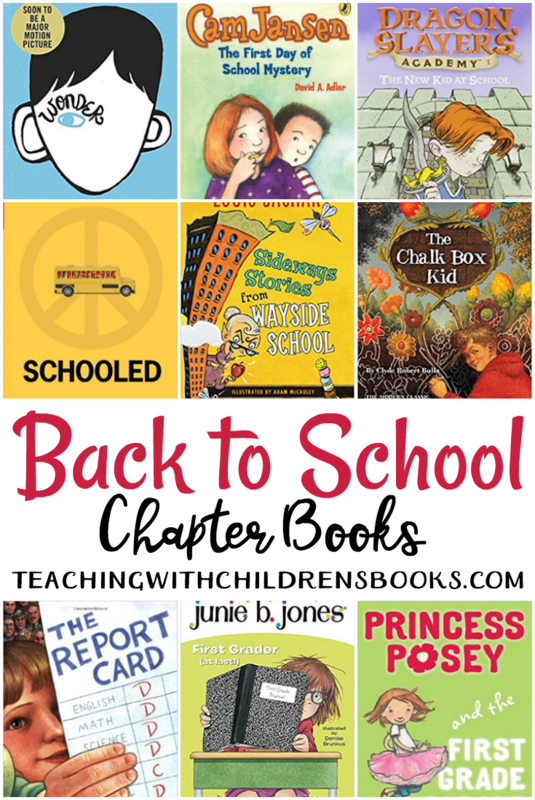 Junie B. Jones, First Grader (at Last) | Hurray, hurray for a brand-new school year! Being in first grade means having to get used to a whole new classroom. And a whole new teacher. And a whole new bunch of strange children. 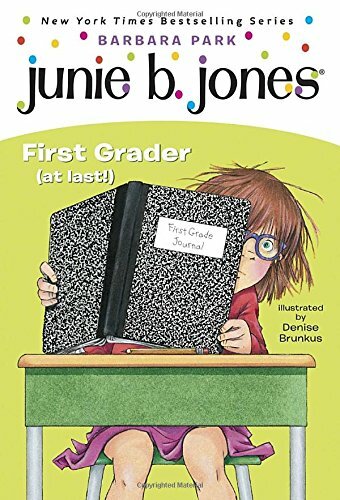 But here’s the worst thing of all: When Junie B. tries to read words on the chalkboard, she can’t seem to see what everyone else is seeing! Is it possible she might actually end up wearing glasses? 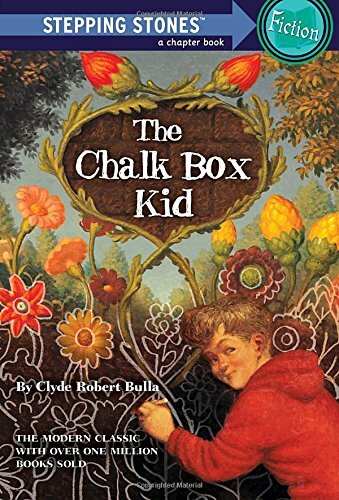 The Chalk Box Kid | A new neighborhood. A new school. A lonely birthday. Life isn’t easy for nine-year-old Gregory. Then he finds an abandoned chalk factory behind his house. It’s a secret place, just for him! Now he can draw anything he imagines on the dark brick walls. What amazing thing will Gregory draw first? 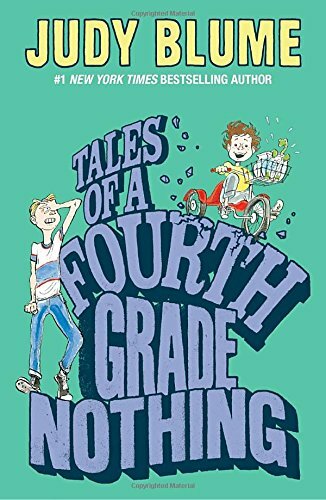 Tales of a Fourth Grade Nothing | Two is a crowd when Peter and his little brother, Fudge, are in the same room. Grown-ups think Fudge is absolutely adorable, but Peter and his pet turtle, Dribble, know the truth. From throwing temper tantrums to smearing mashed potatoes on the wall, Fudge causes mischief wherever he goes! 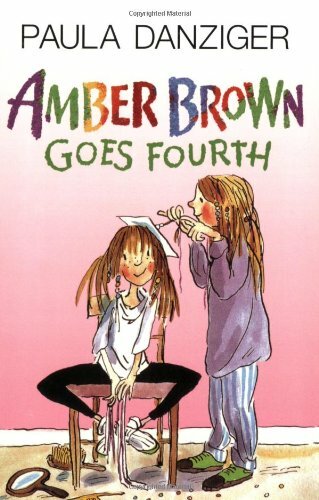 Amber Brown Goes Fourth | Amber Brown isn’t entirely ready for fourth grade. She has her pens, pencils, new clothes, and new shoes. But the one thing she doesn’t have is her best friend, Justin Daniels. Justin has moved away, leaving Amber utterly best friend-less. Amber knows Justin can’t be replaced, but she is on the lookout for a new friend. Brandi seems a likely choice, but does Brandi want to choose Amber in return? Will Amber Brown go fourth, and go forth, with a new best friend? The Homework Machine | Meet the D Squad, a foursome of fifth graders at the Grand Canyon School made up of a geek, a class clown, a teacher’s pet, and a slacker. 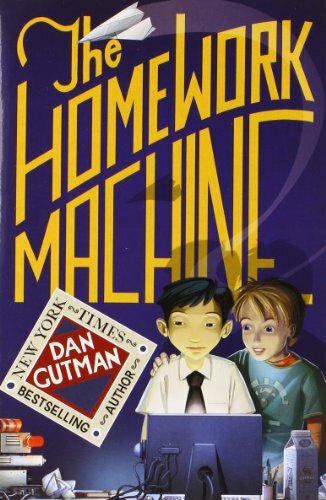 They are bound together by one very big secret: the homework machine. Because the machine, code-named Belch, is doing their homework for them, they start spending a lot of time together, attracting a lot of attention. And attention is exactly what you don’t want when you are keeping a secret. 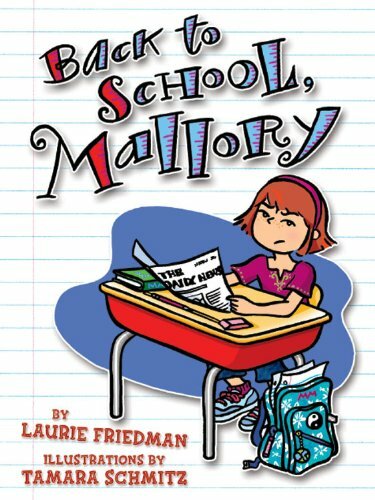 Back to School, Mallory | Summer’s over and that can only mean one thing for eight-and-3/4-year-old Mallory–she has to go back to school. But not just any school, an new school with all new kids in it. To make matters worse, her mom is going too! She’s the new music teacher, and Mallory can’t think of anything that could possibly be worse–until her first day. She has to sit with Pamela, who always says the right thing and steals her ideas. Her new neighbor, Joey is so busy with his old friends that he has no time for her, and to top it off, she’s picked to be an eggplant in the Fall Festival her mom is putting on. What can Mallory do? 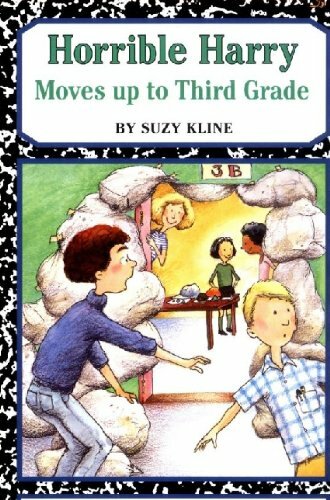 Horrible Harry Moves Up to Third Grade | Third grade brings lots of surprises, but one thing hasn’t changed a bit–Harry and Sidney are still sworn enemies. And their relationship only gets worse when Sidney accidentally kills Harry’s pet spider. But Harry comes up with a horribly funny way to get revenge during a class trip to a creepy copper mine. 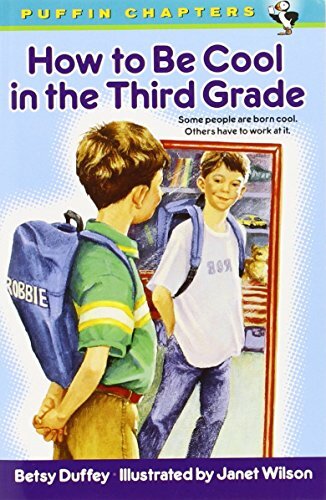 How to Be Cool in the Third Grade | It’s not easy to seem cool when the whole class knows you wear superhero underwear and your mom still kisses you goodbye at the bus stop. But Robbie York has a plan. 1) Get rid of the name Robbie. 2) Get jeans. 3)Avoid bullies like Bo Haney. If only it were that simple! 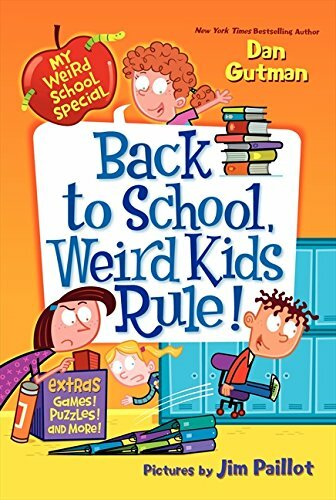 Back to School, Weird Kids Rule! | A.J. and the gang from My Weird School star in this special series of after-school, holiday-themed chapter books featuring all-new hilarious stories and thirty-two pages of games, puzzles, and more. 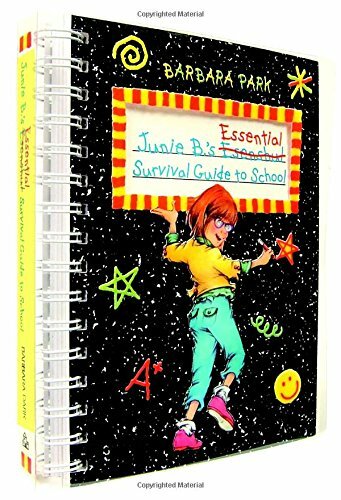 Junie B.’s Essential Survival Guide to School | I have been going to school for over one-and-a-half entire years now. And I have learned a jillion things that will help you survive at that place. And guess what? Now I am going to pass this information on to y-o-u!!! I wrote it all down in my brand-new book!